Inspiration can be found everywhere in Baltimore, whether out in the open or lurking around the corner, but it can be easy to miss if you’re not looking. Here are a few of our favorite places and events in Baltimore that are sure to get the creative juices flowing, for visiting and local designers alike. 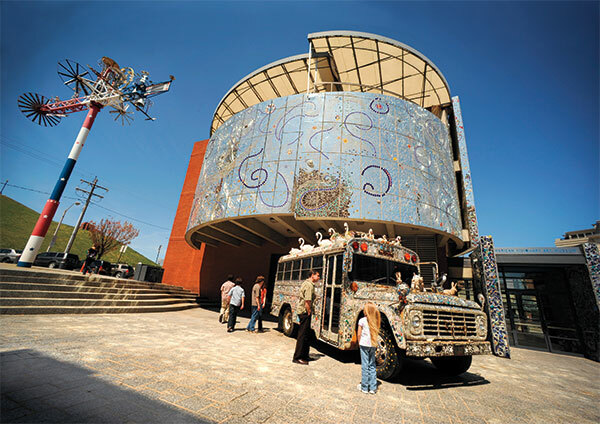 The AVAM is dedicated to displaying and preserving outsider art. Both its temporary and permanent exhibits make it a must-visit place for art that you might not see anywhere else. 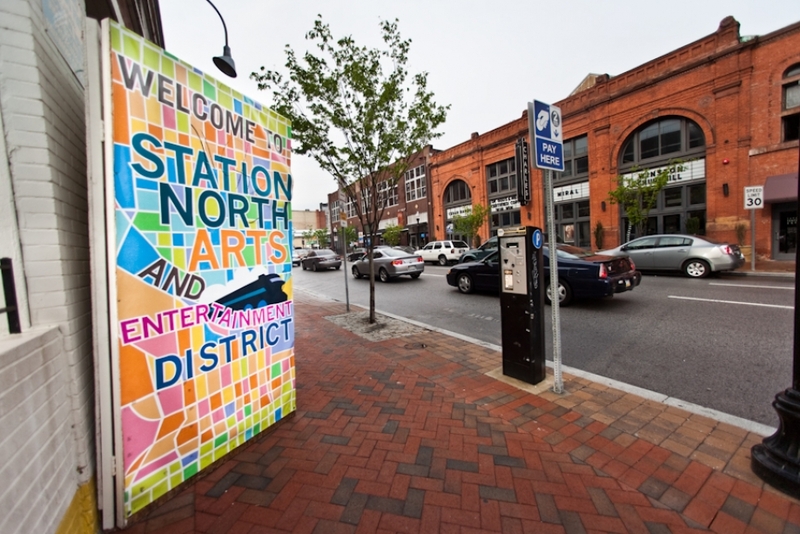 In the heart of city, Station North is the first state-designated Arts and Entertainment district in Baltimore. With its myriad projects, installations, galleries, and cafes, everyone should be able to find some inspiration in Station North. Home to the historic Emerson Bromo Seltzer Tower, this district is one of Baltimore’s newest art-centric neighborhoods. 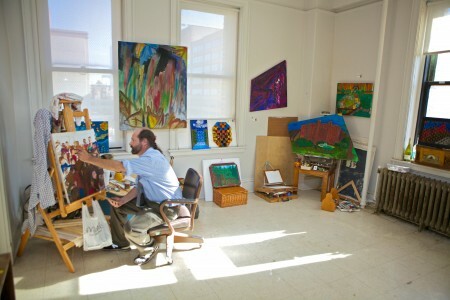 The numerous galleries and performance spaces make it easy to spend an entire day just in this small but thriving area. Even the houses in Baltimore show the city’s dedication to the arts. 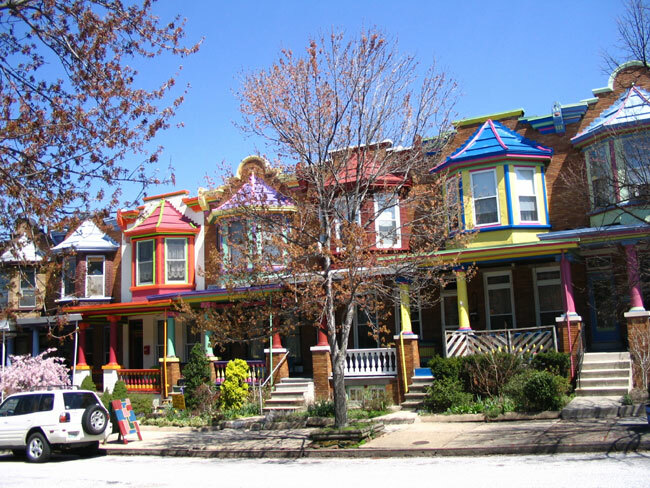 This collection of colorful row homes is a perfect example of how the city’s residents exemplify the name Charm City. Baltimore’s locations aren’t the only places to find inspiration. 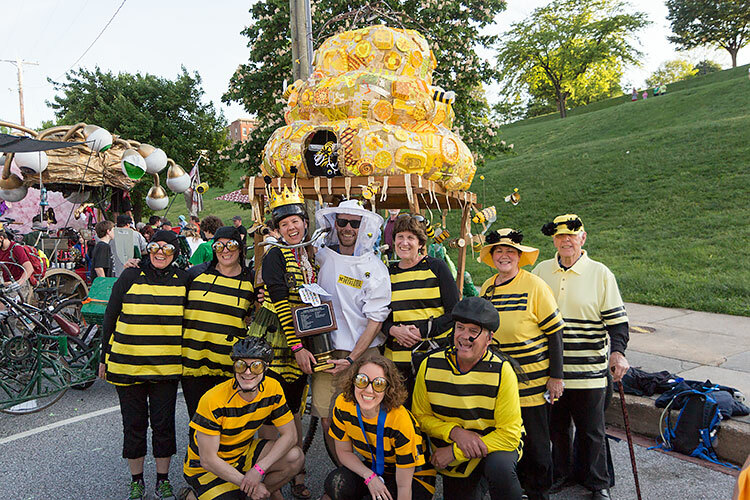 The city is host to tons of art-centric events that have become important traditions. 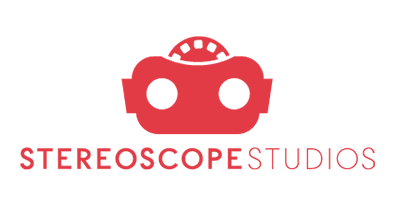 We’ve highlighted a few that are sure to interest both visiting and local designers. Mitch is a volunteer copywriter for AIGA Baltimore. In the real world, he’s usually indulging in gaming of some kind, controller or dice in hand. Find him on Twitter at @mc_mittens. 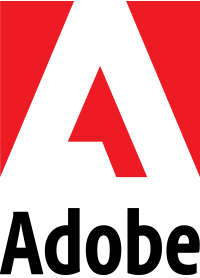 Shannon Crabill is an HTML Email Developer at T. Rowe Price. Outside of the Internet you can find her riding her motorcycle and binge-watching home improvement shows on HGTV. Tweet her at @shannon_crabill. A recent transplant from Texas by way of NYC, Andrea Chen is happy to call Baltimore her home. She’s a graphic designer at T. Rowe Price, owns her own company the codex club, and loves to knit, cook, and garden. Tweet her @andreachen3d.